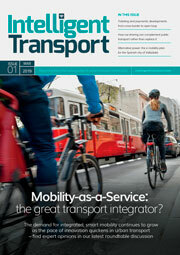 A recent study, conducted by the University of Kentucky, has highlighted that the decline in the use of public transport systems is likely due to the rise in popularity of ride-share services. The study points out that gas prices are the lowest they have been for five years: “Gas prices have declined, hitting an average of $2.83 per gallon in April 2018 compared to $3.63 per gallon five years earlier.” This suggests there must be another reason for the decline in transit use. 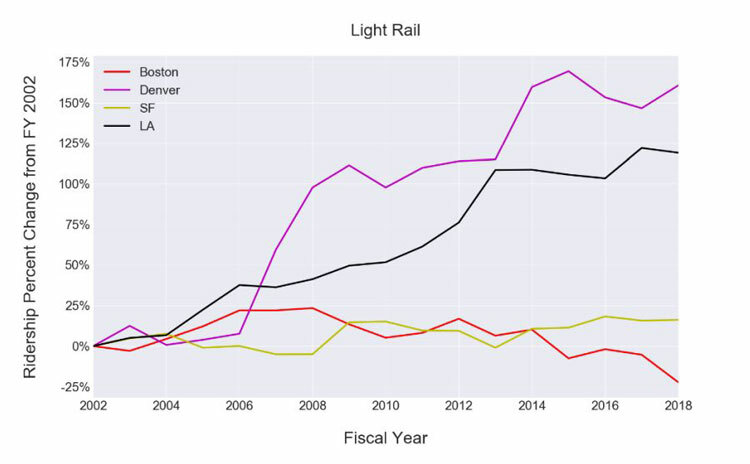 Looking at the public transport usage in 22 U.S. cities, the study was lead by Michael Graehler, Richard Alexander Mucci, and Gregory D. Erhardt. 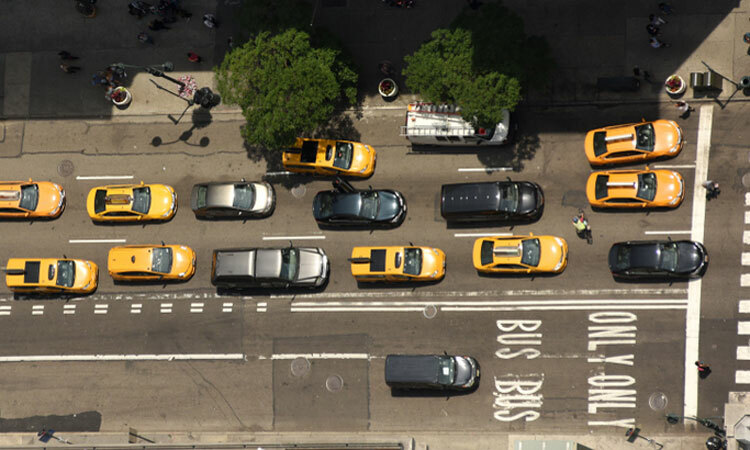 The study’s Figure 1 shows that, for New York, the use of Uber and Lyft grew from 60,000 to 600,000 in the three years from 2015 to 2018, which is almost identical to the decline in the daily usage of transit within the city (which measures at 580,000). 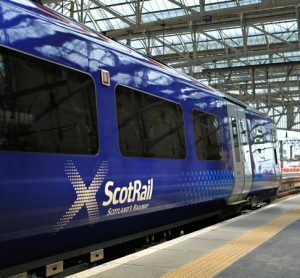 Some believe this to be damning evidence that ride-sharing is to blame for the decline in public transit use, but is it just a coincidence? 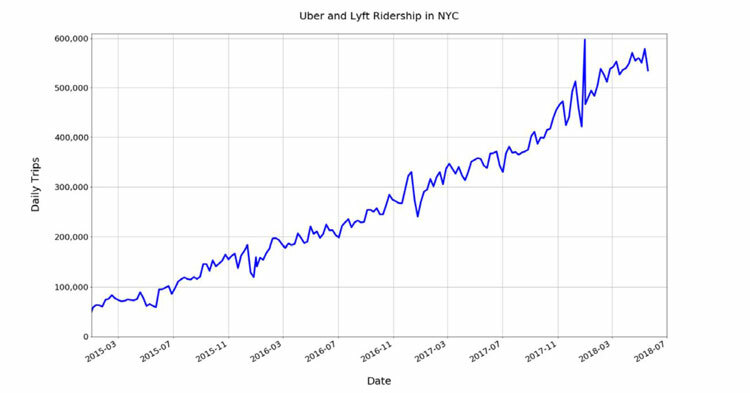 Despite the claims that Uber and Lyft are taking passengers from public transport, the graphs provided in the study do not show an overall trend of decline. 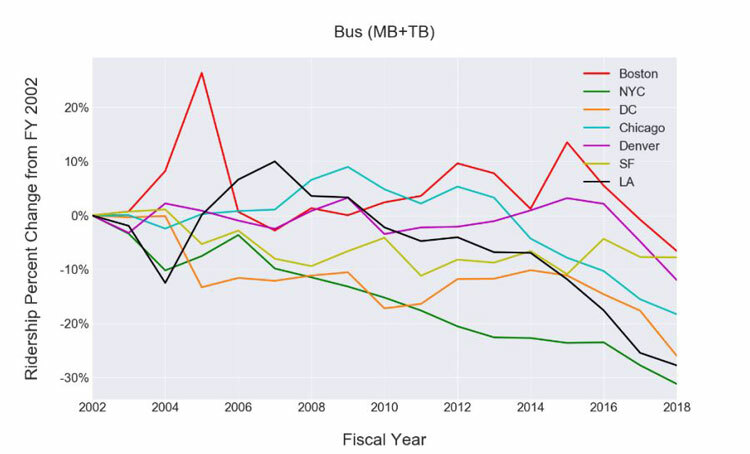 The study says: “San Francisco has embarked on a series of bus service improvement projects” between 2013 and 2016, and as such, there is a slight increase in the usage of buses mirroring the recent investment, as illustrated in Figure 3. 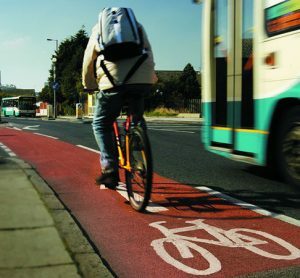 Furthermore, the study found that there was a 1.8 per cent decrease in bus ridership, as a result of the introduction of bike-share in a city. 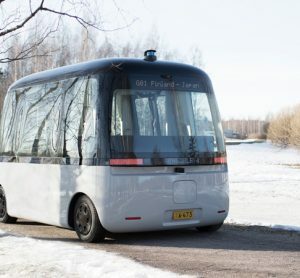 The results of the study also suggest that for each year after ride-hailing companies enter a market or city, bus ridership can be expected to decrease by 1.7 per cent – which is evident in Figure 4. 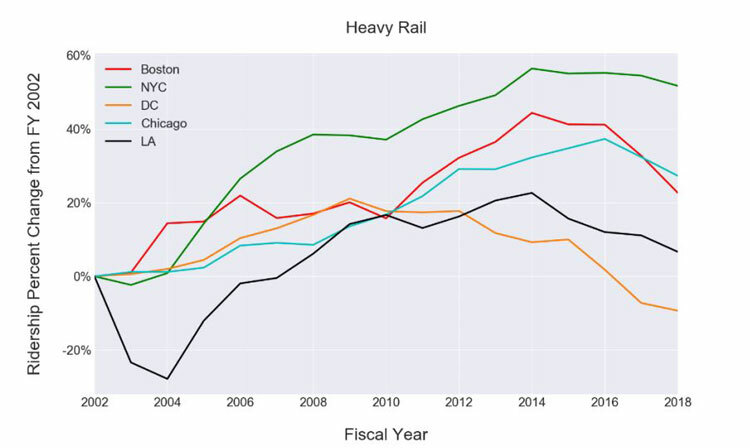 Speaking to Streetsblog, Erhardt said: “Our results suggest that the recent decline in transit ridership in major U.S. cities cannot be attributed to transit service cuts alone. The ridership decline is steepest from 2015 onwards, and correlates with the introduction of Uber into a market.